Are you planning to build your own house, or alter your current home? If you’re just at the beginning of a project and don’t know much about the construction industry it can seem a daunting prospect. ASBA Architects are all locally-based independent practices who spend most of their time assisting clients like you. Apart from design skills we are also fully trained in building construction, project management and contract law, making us the ideal source of help and advice that is needed to make your project a success. 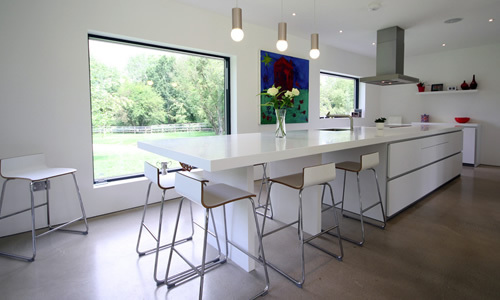 ASBA is a national network formed and run by locally-based chartered RIBA architects, who specialise in the design of one-off houses and domestic alterations. So if you are thinking of building your own home or improving the one that you already have, an ASBA architect can help you. ASBA architects offer independent advice from experienced architects on all aspects of the design and construction of homes, including finding building plots and development opportunities, providing highly creative design, dealing with the planners and building control officers, and finding and managing building contractors. You decided how much or little assistance you need. We can oversee your complete project, or just help at those times when you feel that you need professional support. There is a huge range of products and materials available in the UK. 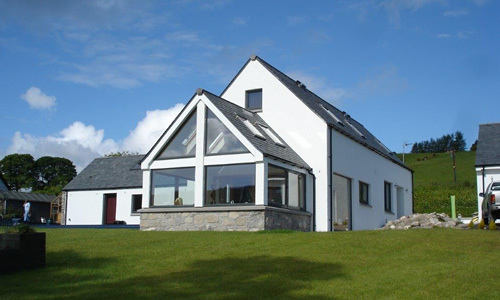 ASBA architects offer imaginative solutions, adapting house styles and construction methods to suit you. We can design any type of house, giving advice on the suitability of brick, stone, concrete block or timber construction for your project. We can also provide advice and information on the many exciting opportunities to customise your project and make it your own. Your priorities and particular needs are the starting point as ASBA architects work with you to design your home to match your requirements aspirations and budget. Our creative ability will ensure that the fixtures, fittings and interiors that you choose reflect your personality and style. Using an ASBA architect gives you the opportunity to create a home as individual as yourself. ASBA architects can act as an independent advisor at all stages of your project, whether you are buying land or paying contractors. Our aim is always to obtain you the best quality for the most competitive price. Unlike many designers and package companies, we do not take undeclared commissions from builders, suppliers or manufacturers for choosing their products or services, but instead obtain competitive prices and pass any savings made on the build cost of your house directly to you. Good design by a skilled ASBA architect will mean your money is used to its best possible advantage. Effective project management means that competitive prices are always obtained from contractors. Simply ensuring that the process of inviting tenders is managed well can save you £10,000s when compared to inviting prices from builders without a proper set of drawings and specifications. The use of independent advice from a trustworthy source is no only cost-effective but also improves your chances of a problem-free project.